Jury selection has been in the public eye since the beginning of, and the ultimate acquittal of Gerald Stanley in, the trial of the shooting death of Colten Boushie, a resident of the Cree Red Pheasant First Nation of Saskatchewan. The Stanley trial highlighted concerns about the selection of individual jurors. The media reported that defence counsel for Mr. Stanley appeared to using peremptory challenges to reject any potential juror who was visibly a First Nations person. Peremptory challenges require no reason, and are mainly used by counsel to reject people who don’t “look” like they might be favourable to their client. * The case law on this practice primarily focuses on the actions of the Crown attorney in this selection process and the accused’s right to an impartial jury. 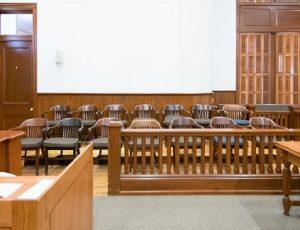 Rarely have juries been dismissed or mistrials declared as a result. It is even rarer for the use of such challenges by defence counsel to be called into question. Prof. Kent Roach, Chair of the Asper Centre’s Advisory Group, notes in an Op-Ed he wrote for the Globe & Mail, “Such challenges, where the accused or the prosecutor look the prospective juror in the eye and simply says challenge or not, are a stone-cold invitation for jury selection to be infected by conscious or unconscious racist stereotypes.” Roach states that now is the time to abolish peremptory challenges to eliminate this manifestation of bias in the system. The Charter right to an impartial jury is that of the accused and not the victim nor the community. However, the majority of the Supreme Court in R v Kokopenace stated that the role of representativeness includes legitimizing the jury as the conscience of the community and promoting public trust in the criminal justice system. Asper Centre clinic students examined the role of juries in the clinic in the Fall of 2011. Their research on the issue of jury representativeness and race informed the legal arguments that we put forward both at the Ontario Court of Appeal and the Supreme Court of Canada in the Kokopenace case. The focus of the legal arguments was the under-representation of First Nations people, who live on primarily Northern reserves, on the jury pools from which individual jurors are picked. In the particular jurisdiction where Mr. Kokopenace was tried, First Nations on-reserve people made up approximately 30-36% of the population, yet they represented only 4% of the people within the jury pool. Mr. Kokopenace’s jury was selected from a panel on which only 2% were on-reserve residents. The Asper Centre has focused on the role of juries in our criminal justice system in several clinic projects. In our first clinic in 2009, a student researched the case law on jury representativeness and how a jury trial functions in order to lead a mock trial in Thunder Bay with First Nations high school students. The issue of lack of representativeness of juries in Northern Ontario had been disclosed within the context of two coroners inquests involving the deaths of First Nations people. The aim of the project which was done in partnership with the Ontario Justice Education Network (OJEN), was to educate young people, particularly First Nations youth, about the role of juries and the importance of participation in juries to our criminal justice system. The subsequent Iacobucci Independent Review, First Nations Representation on Ontario Juries, pointed to the lack of education about the criminal justice system as an issue to be addressed, but listed many more factors that demonstrate the complexity of the problem and the need for more than education to remedy the situation. Systemic discrimination and the lack of trust in a system that is viewed as working against indigenous people are deeper factors that require better understanding to resolve. Another issue identified in the Iacobucci review was “concern for the protection of the privacy rights of their citizens with respect to the unauthorized disclosure of personal information for the purposes of compiling the jury roll.” The Asper Centre in another clinic project focused on the treatment of prospective jurors in the series of jury vetting cases that was heard by the Supreme Court in 2012. There the focus of the appeal was Crown Attorneys’ use of private information obtained by police but not shared with defence counsel to vet prospective jurors. The Asper Centre again focused on the impact on jurors in respect of their participation in the criminal justice system. While the court’s decision primarily focuses on the infairness to the accused, they did note the right to privacy held by the jurors in some of the records disclosed. In the end the convictions were upheld. A group of nine academics have formed a think tank to look more closely at the Gerald Stanley trial. The jury selection is only one concern that has been raised. We hope that this group, which includes Prof. Roach, can shed some light on the systemic issues that have left many in the community, and in particular the First Nations communities in Saskatchewan, with the view that an injustice was done. * Since the writing of this blog post, the Department of Justice has tabled a new piece of legislation aimed at reforming the criminal justice system. Among the changes proposed, Bill C-75 has removed peremptory challenges for both the Crown and defence. To counterbalance this, the legislation changes the way a potential juror can be challenged for cause and ultimately gives the judge the final say.